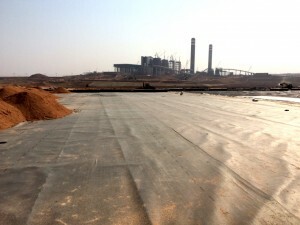 The waste water containment dam’s HDPE liner, is protected by bidim A6 for its thickness, high strength resistance to protrusion, and long term creep. 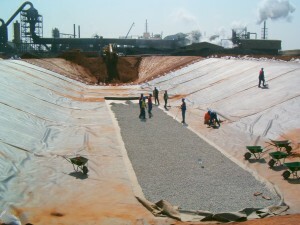 The bidim used in this project was produced using over 1.5 million recycled cooldrink bottles. 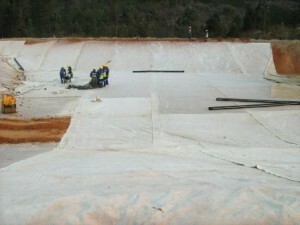 New waste water ponds were constructed using bidim A4 and A6 as liner protection. 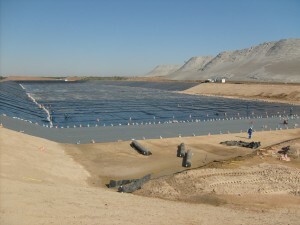 These grades offered optimum thickness in their weight class thus offering excellent protection of the HDPE liners used in the lining of these ponds. 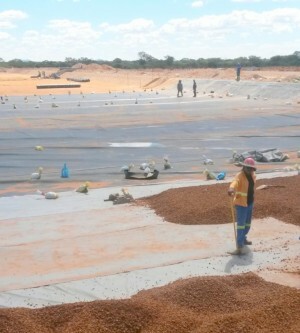 The bidim used in this project was produced using over 101 300 recycled cooldrink bottles. At the end of a 27km pipeline from Kendal Power Station, is the raw water dam which uses bidim A10 as HDPE liner protection. 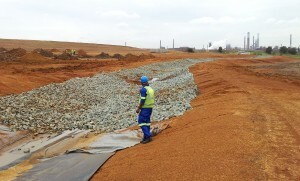 The bidim in this project used the equivalent of 2 810 810 recycled cooldrink bottles. 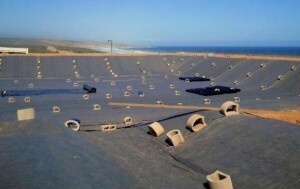 bidim A6 functions as liner protection in the purge water dam. 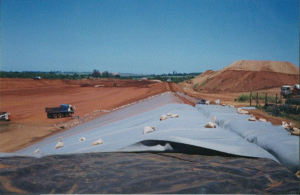 bidim A10 serves as liner protection to the HDPE layer. 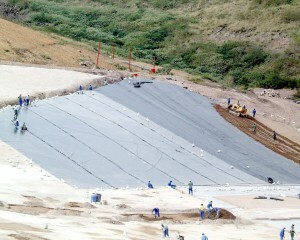 bidim was installed as liner protection to phase 1 of the landfill project.